Experience the magic of Harcourt and get your family portrait by world renown Parisian photographer! Suite 321 at the Hotel de Paris has been transformed into a Harcourt Studio. Famous for their old Hollywood style portraits and their signature Harcourt lighting, entering the suite is like stepping back in time, to the world of black and white, with glamorous film stars and the mystique of the Silver Screen. The walls are always lined with soft glowing portraits of some of Hollywood’s most iconic faces. The public has been lining up to get a chance to be photographed by the famed studio. But it’s not just the photographs that people seek. The Harcourt experience is just that—an entire experience. Mr Aina is particularly pleased with this project with the Société Bains de Mers. 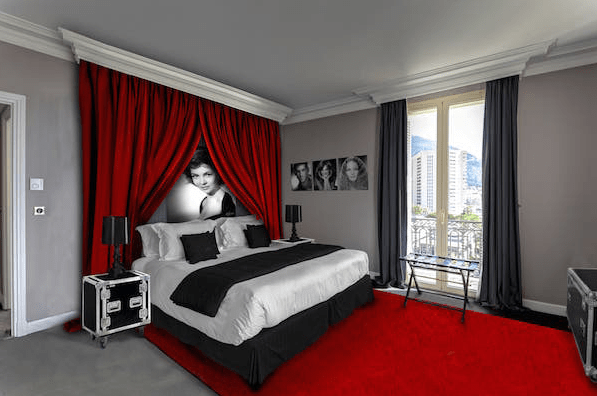 Starting with the gorgeous surrounding of the Belle Époque Hotel de Paris, the inner studio’s ‘magic’ is enjoyed by the top members of society, from the Monaco Royal family to celebrities in film, sports and fashion. 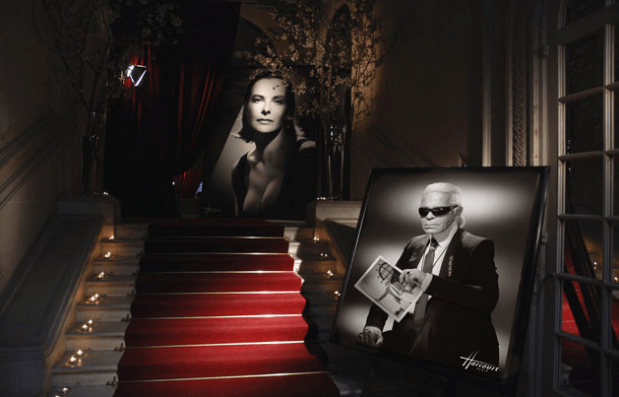 And the portraits lining the wall prove it: Karl Lagerfeld, Kate Blanchette, Novak Djokovic, and Alain Ducasse are among the faces in black and white. The studio is open to the public, and if you would like to immortalize yourself or your family, the cost starts at €1690 for a solo portrait. The transformed Monegasque studio quickly booked up with ‘anonymous’ citizens wanting a Harcourt photograph. The session was held from 18-24 October, but don’t worry, it will return in January for another session. Mr Bizos actually spends most of his time photographing families. This past weekend he photographed a family of 20, including the newest addition, a 20-month-old. In Paris, he said, they “regularly get 80-year-old women who come with their young granddaughters.” They get the portrait because it’s exactly what they did with their grandmothers. Harcourt uses the same lighting they used in the 1930’s. “It’s a very specific lighting, timely and very precise. We work by the millimetre, which means that a badly placed shadow shows up instantly as a defect in the image, even visible to the untrained eye,” explained Mr Bizos. Photographs in the studio will be held again from 22-31 of January in room 321 of the Hôtel de Paris. Prices start at €1690 for a single portrait; €1930 for a duo and €3010 for a family portrait. By appointment only, but the hours are flexible. Call 06.85.86.56.00 for reservations. The redesigned suite will be available for stay from 25 October to 21 January.